Well this was quite an exciting find! 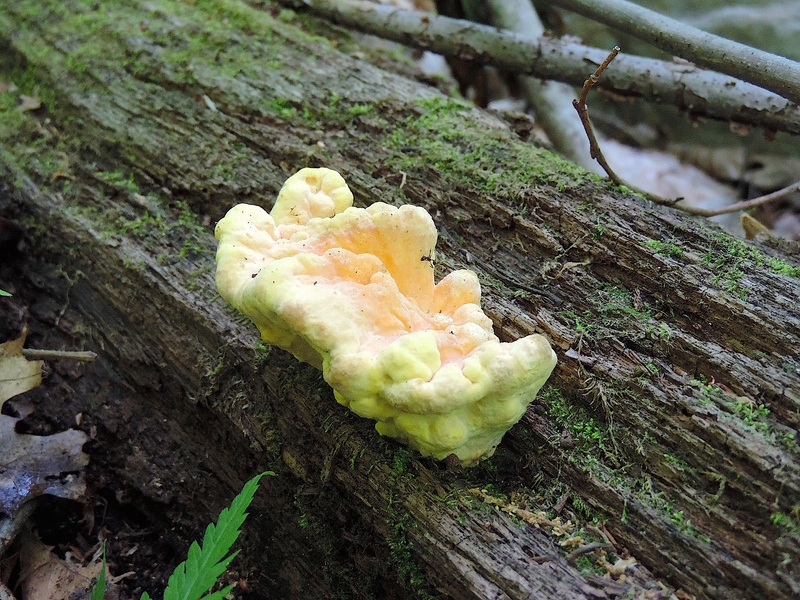 Other experiences will surely vary, but personally, I’ve never seen the chicken mushroom so early in the season. This baby chick was found May 25th in Southwestern Pennsylvania (Laurel Highlands area). Research has shown that an extract from this mushroom possesses antimicrobial activity against the pathogen, Aspergillus flavus (Petrovic et al., 2013). Chicken mushroom is also a great source of antioxidants, including quercetin, kaempferol, caffeic acid, and chlorogenic acid (Olennikov et al., 2011), and it contains lanostanoids – molecules that have the ability to inhibit cancerous growths (Rios et al., 2012). What more could you ask for from a humble saprophyte?